There are other venues now too, including one at St Paul’s which I intend to visit later in December. I bought the book Tea with Bea soon after I moved into my current space because I don’t have very many cook books with me and I like to keep them around for inspiration. This one is beautiful and filled with things to make (soon!). So obviously I had to visit the original shop and sample the goods. 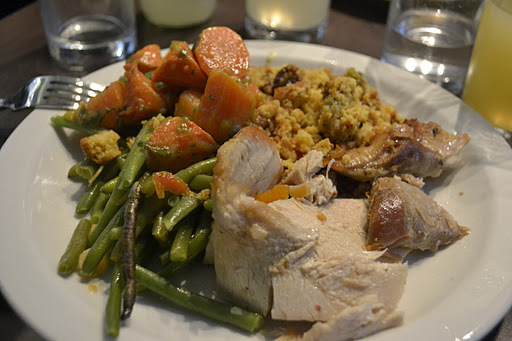 We visited the Friday after Thanksgiving so the lunch menu was filled with Thanksgiving staples – turkey, stuffing, brussel sprouts, beans, carrots, pumpkin pie. I had the turkey, sausage stuffing, beans and carrots and the Princess had a salmon sandwich on baguette. Both lunches were filling, satisfying and flavoursome but the sausage stuffing won the day as best dish. I could have eaten a vat of the stuff. And because we were only together for the day, and it being the day after Thanksgiving, and us feeling in a holiday mood, we had dessert too. Let’s be honest, one doesn’t visit a teashop and not sample the cake. I had pumpkin pie to round of my Thanksgiving excess and the Princess had chocolate Guinness cake (which is in the book). 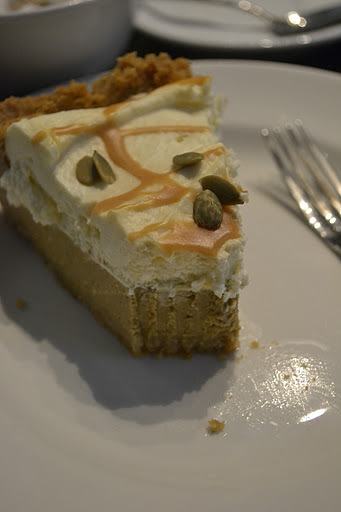 The pumpkin pie was smooth and spicy and the cream cut out the sweet. 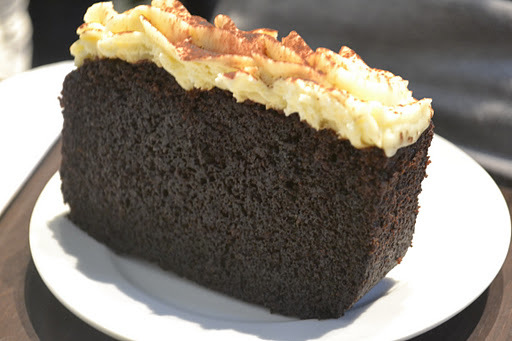 The chocolate Guinness cake was dense and rich. We couldn’t finish either of them. The teashop space is tiny and you need to act quickly to get a table in amongst the London lunch rush. But it’s totally worth it. Even the coffee is good. And, like I said, I’m definitely going back for more.